Learning progression is about much more than helping pupils to increase their knowledge. It is about deepening their understanding and developing their skills, and it should be a constant feature of all lessons. As teachers, we need to know exactly where we want our children’s learning to take them, how each activity supports their progress towards this, and how we will assess the amount of progress they make. These days everything in life seems to be a journey – “my journey to recovery”, “my journey to the finals”, etc. However hackneyed this analogy may now be, it’s still a great one to use in terms of learning progression: we rarely set out on a journey without knowing what our destination is or how we plan to get there, so why not plan a lesson like we plan a journey [click on the image to enlarge it]? In the above plan the kit could refer to pens and pencils, etc. or it could refer to skills – for this lesson we will need to be observant, we will need some good teamwork, etc. 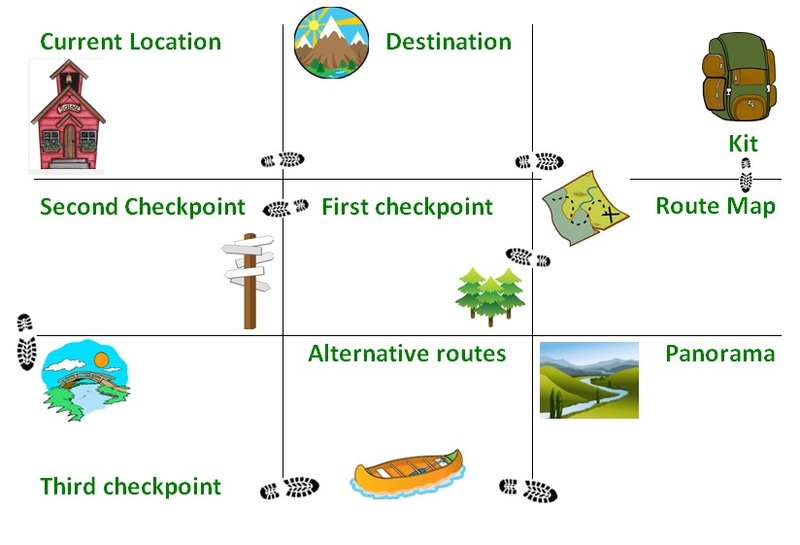 The route map is the planned progression. The checkpoints are the moments at which we check everything is going according to plan. The alternative routes are the support and extension options we will offer, or the routes we could fall back on if the original plan is not working out. The panorama is the point at which we look back over our route and reflect on what has been achieved (or, for those of you with small children, the Balamory Moment). This approach probably won’t work for everyone, but some sort of analogy often helps us to picture what the progress in our lesson will look like. In the above images, we are aiming high, and each stage of the journey should be more demanding than the last. 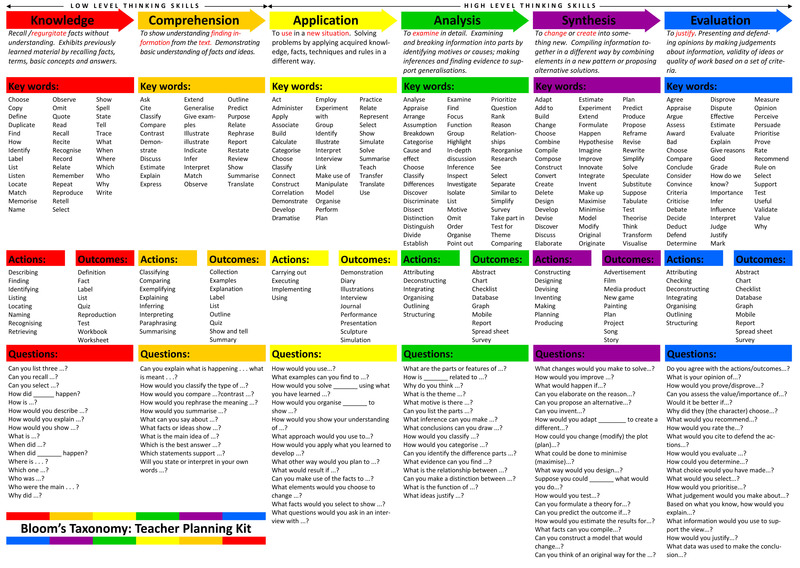 There are many ways to structure a lesson which gradually raises the level of challenge, but a perennial source of inspiration for this is Bloom’s Taxonomy. The following diagram takes the principles underlying Bloom’s work, and suggests various trigger words which could be used to make each activity more demanding than the last [click on image to enlarge]. When we worked on this during one INSET session, each department adapted this generic list to suit the nature of the subjects it offers [click on image to enlarge]. 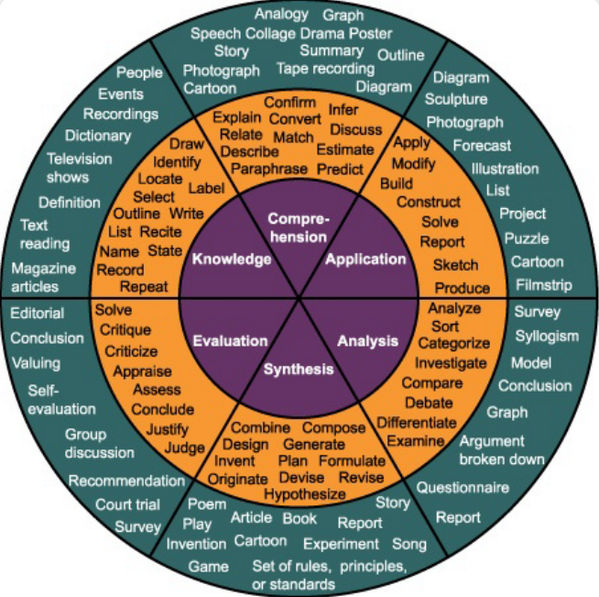 A lesson plan which features prompts from three different columns in the above table (moving from left to right), or ideas from three different segments of the above circle (moving clockwise from “knowledge”) ought to deliver good progression. 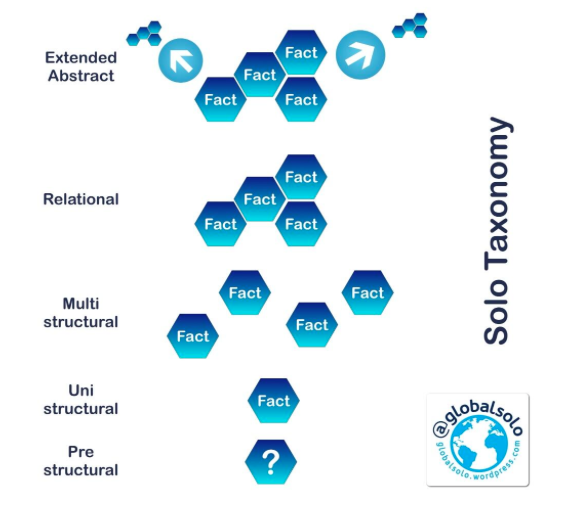 If you’d like to read a little more about SOLO, take a look at this from @leardinglearner, and if you’d like to see some practical materials based on SOLO for use in a range of subjects, take a look in this dropbox. What’s the difference between Bloom’s and SOLO? 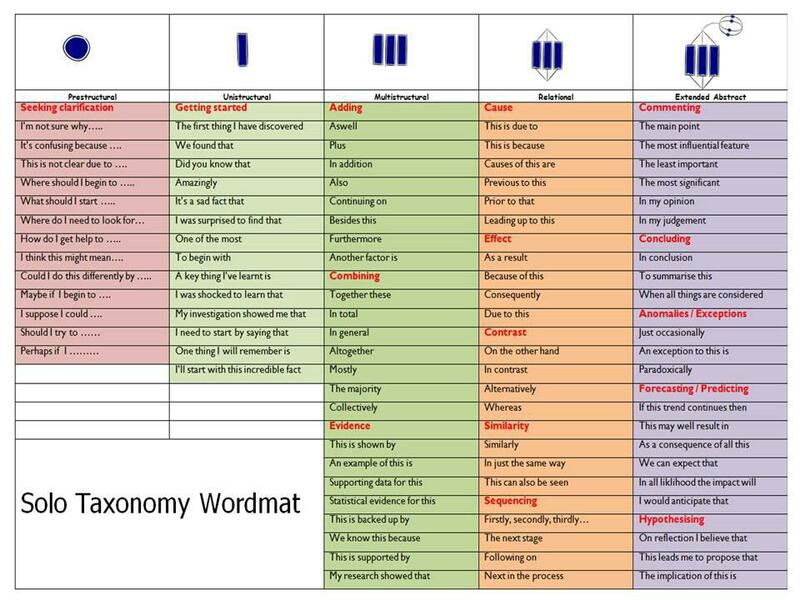 The argument is that whilst Bloom’s taxonomy might help teachers to create a lesson structure which promotes progression, it is not so good as SOLO at helping pupils to understand how they have progressed, or how to take ownership of their own learning. Familiarise yourself more fully with both of them, and decide what you think. However you decide to build progression into your lesson, you cannot simply assume that pupils will achieve that progression, and this is why the checkpoints are essential to the ultimate completion of the journey, and thus the success of the lesson. Ultimately, effective progress from your pupils requires effective planning from you. And your starting point for this must always be establishing clear objectives. For pointers on objective setting, read this excellent article by David Didau.